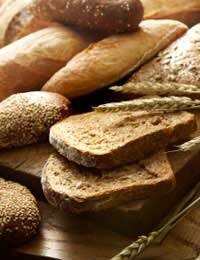 Home > Changing Your Diet > Why Avoid Wheat If You're Not Gluten Intolerant? Why would anybody stop eating wheat if they don't have to? There are several very good reasons for cutting wheat out of the diet, and many people do choose to go gluten-free. The debunking of the MMR vaccine/autism link has led many GPs to reconsider issues of food and medical intolerance in a less charitable light. The recent tendency for people to add gluten-free foods into the detox craze, thus turning what is often a genuine food intolerance into a diet fad. The recession and economic belt-tightening, which has led to a greater uptake of basic or ‘own brand’ foods, most of which have wheat as an ingredient. There’s also a tendency for ‘celebrity diets’ to become popular and then to fade away again. Several years ago Kate Moss popularised the ‘egg white omelette’, which was demanded in bistros and restaurants across the world, but now almost nobody bothers to ask for it. Similarly, the fact that people like Victoria Beckham, Terence Stamp and Dannii Minogue all eat wheat-free can lead to a frenzy of gluten-free food consumption in celebrity followers. This can then cause mainstream food providers, particularly restaurants and top chefs, to become vocal about the ‘stupidity’ of exclusion diets. Somewhere between these extremes is a large group of people who have chosen not to eat gluten-containing products but who haven’t been diagnosed as gluten intolerant or having coeliac disease. So why would anybody who isn’t diagnosed as gluten-intolerant want to stop eating wheat? Some current research suggests that coeliac disease (gluten intolerance) and lactose intolerance are increasing and are often appearing in the same individuals. The cause of both conditions is unknown, but given that there is a link in a reasonable percentage of the population, some nutritionists are advising those who are found to be lactose intolerant to cut wheat from their diet while they are finding a good regime of food/medication for their primary intolerance. This prevents an underlying wheat allergy causing symptoms that are mistaken for lactose responses and cause medication to be adjusted upwards. There is also an experimental school of thought that is attempting to improve the quality of life for autistic children by removing gluten from their meals. While this approach is still being pioneered and is largely undocumented in the scientific press, anecdotal reports and studies being carried out by some autism support groups suggest that improved focus, better speech and higher activity levels can be obtained with at least some autistic children when they stop eating wheat-based foods. The most common reason for wheat exclusion, outside of diagnosed gluten intolerance, is Irritable Bowel Syndrome (IBS), a common but deeply uncomfortable gut condition. It’s called a functional disorder, which means that while the gut (including the bowel) looks normal, it fails to function normally. There is no physical evidence of a problem, only the symptoms of pain, discomfort and bloating, as well as irregular and unpredictable gut function. While one in five people in the UK will have IBS at some point in their lives, it’s most commonly experienced for the first time in teenagers and young adults (suggesting a link to stress) and is twice as common in women as men. Around half those diagnosed with IBS find that they have food intolerances or food sensitivities that make the condition worse or cause ‘flare ups’, where the gut goes into cycles of diarrhoea and constipation. The most commonly reported foods for causing IBS to appear or to increase are wheat, rye and barley, coffee and other caffeine containing foods and drinks, and dairy products. Because an IBS diagnosis can take time, some consultants suggest that patients awaiting a confirmation of their condition cut out wheat and caffeine for a period of six weeks to see if their symptoms improve. This form of exclusion diet is not particularly difficult to maintain, gives the patient a sense of ‘something happening’ so that they don’t feel disheartened about the process, and can often lead to a real reduction in the severity of symptoms, which in itself creates a better lifestyle for the individual.